Alderflies are close relatives of dobsonflies and their larvae resemble the better-known hellgrammites. Their life cycle is similar and they are never available to the trout en masse, but they are loose in the drift often enough to be of value. 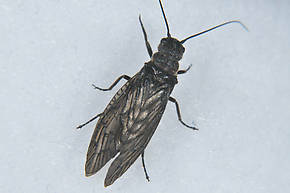 These are pretty much always called Alderflies. See Sialis for details. 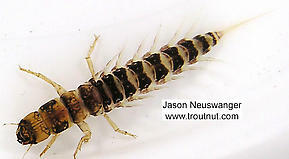 It is the only genus of alderflies.